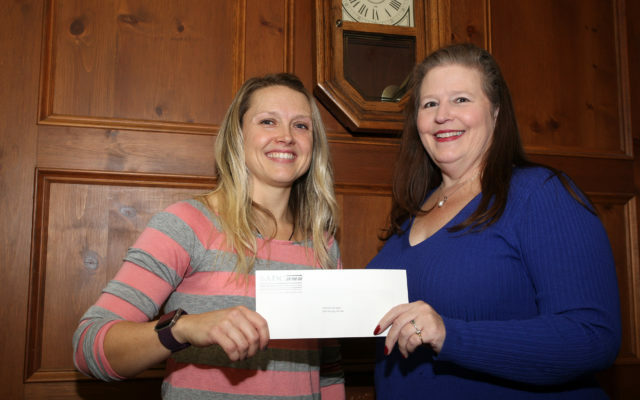 Michelle Sprague was one of three winners in the Houlton Entrepreneur Challenge last year. HOULTON, Maine — Michelle Sprague was one of three winners in the Houlton Entrepreneur Challenge last year. As a result, she opened Small Town CrossFit at 310 North Street a few months ago and will hold an Open House on Thursday, July 12 from 11:00am-2:00pm. The public is invited to stop by the gym to see the see the facility and ask questions about CrossFit and the programs being offered. Sprague has been doing CrossFit for approximately five years when she was trained at CrossFit Level I. She started out doing CrossFit for herself and then began offering some classes at her home. Ultimately, though, Sprague’s dream was to open a facility where she could reach more people in the community and make this a viable business. “I am so passionate about CrossFit and truly care about every person who walks through the door of my gym and about their personal journey,” Sprague said. At the encouragement of many of her students, she entered the Entrepreneur Challenge. After participating in coaching sessions with mentors and developing her business plan, she was selected as one of the winners. The money received as part of her prize from the Entrepreneur Challenge has been used to get the North Street location equipped for classes, obtain licensing with CrossFit and purchase a sign for the business. She also received web site design and advertising as prizes from the Challenge. A rigorous application process was involved in getting affiliated as an official CrossFit site and to get her business name approved. Sprague is planning to get trained at CrossFit Level II when she renews her certification. Openings for classes are currently available at Small Town CrossFit at 7:30 a.m., 9 a.m. and noon. Classes cost $110 per month for five-day-a-week sessions. Participants can get a discount by signing up for automatic ACH debit renewals and she offers a military discount. There is also a 10-session option available for $55. The Open House will give people an opportunity to meet with Sprague and learn more about the CrossFit program and the classes offered at Small Town CrossFit. Some light refreshments will be offered and door prizes will be awarded.